I've previously mentioned many good reasons for seeking a trial continuance, including motions that cited the start of deer season in Arkansas, the appearance of one's favorite team in the playoffs, the seven puppies recently born to one's Cavalier King Charles Spaniel, and the need for a brief delay so that counsel could enter an Ernest-Hemingway-look-alike contest. You don't typically see such rationales cited in motions asking a judge to recuse him- or herself from a case, probably since those motions often involve accusing a judge of bias and so are more serious than a scheduling request. This conduct is an open, blatant and obvious indication of Judge Elia Cornejo Lopez’s animosity, dislike and disdain for counsel and her desire to not have counsel practice in her court before her, possibly exacerbated by his refusal to purchase a case of Girl Scout cookies from her daughter’s troop. So wrote a defense attorney, who according to the Brownsville Herald cited this "possibility" in a motion asking the judge to recuse herself from a case. The motion states that the judge has previously removed counsel from acting as an appointed defense attorney, and that on one occasion the judge "directed" counsel to speak with her court coordinator, who told him that Lopez wanted him to buy some Girl Scout cookies. The motion does not go so far as to accuse the judge of demanding a bribe, but suggests that counsel's refusal to buy said cookies "possibly exacerbated" the judge's existing bias against him. Let us assume that the judge did, in fact, make the cookie request. This is the sort of thing that a lawyer might feel compelled to comply with, even if it was just a "suggestion," for fear of irking a judge. Because of the inherent risk of coercion, intended or not, judges really are not supposed to make these sorts of requests. True, here we are only talking about a few bucks for Girl Scout cookies, but the principle is the same … sort of. And I guess this really should not have been surprising, but as Jonathan Turley has pointed out, ethics committees in at least three states, including Texas, have in fact considered the specific dilemma of judicial entanglement with Girl Scout cookie sales. The Texas committee ruled in 1988 that it "perceive[d] no violation of the Code of Judicial Conduct in the described activities" if engaged in by the judge's staff, which is not too far removed from the judge doing it. Oklahoma, however, has taken the contrary position (as it often does where Texas is involved). 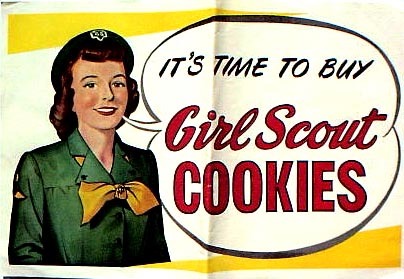 California, in its wisdom, has split the difference, holding that a judge "may accompany her/his daughter selling Girl Scout cookies, but must not make judicial position known or otherwise use it to advance sales." So no wearing the robe door-to-door or entering any injunctions requiring cookie purchases. Still, there is a separate question whether this is something you would ever put in a recusal motion, and I would say the answer to that is no. If you have solid evidence of bias, you don't need the cookie allegations, and if you don't have it … well, maybe you should not be filing the motion at all. It's a fairly high-stakes approach, and throwing in a cookie complaint doesn't seem to fit. Of course, there is another way to avoid this whole dilemma, namely just buying the damn cookies in the first place. It might be mildly unethical for a judge to demand it, but dude! Those are some good cookies.